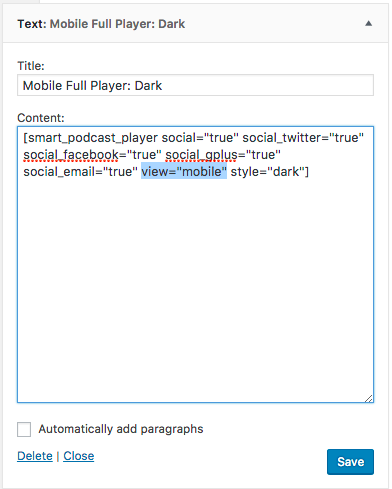 The mobile versions of both the Smart Podcast Player and the Smart Track Player (particularly the Smart Track Player "most recent episode") work very well for use in your website's sidebar. 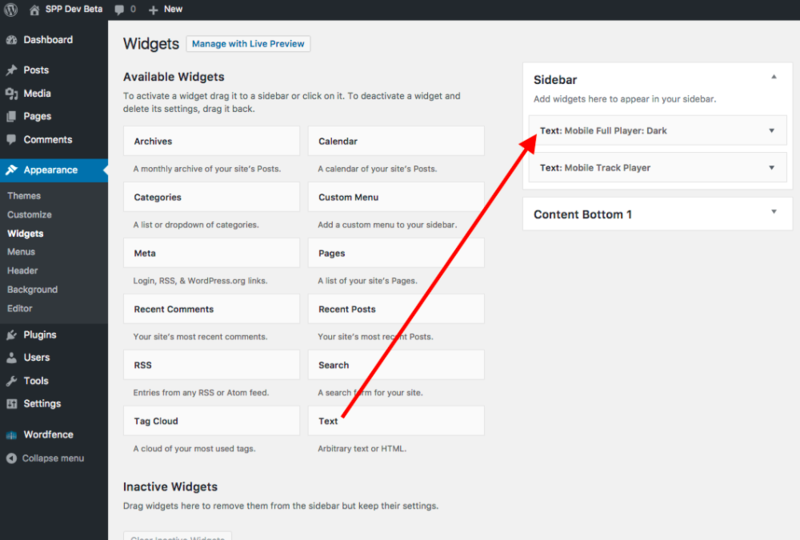 In most WordPress themes, you find your sidebar editor by going to Appearances --> Widgets. Find your active sidebar and drag a text block into the sidebar. You will add a player shortcode into the text block. Click the down-arrow to open the text box. Paste a player shortcode into the text box. Unfortunately, we're not able to add the SPP and STP shortcode builder buttons into the text box editor. 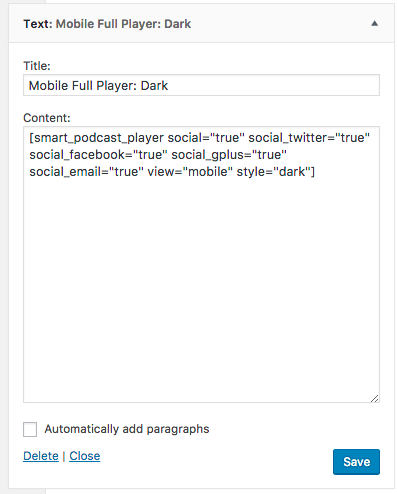 Build the player you want on a regular page or post, then copy the shortcode and paste it in here. Finally, to force the player to use the mobile view, add this inside your shortcode: view="mobile"